Ice floes in the Arctic Ocean north of Svalbard. 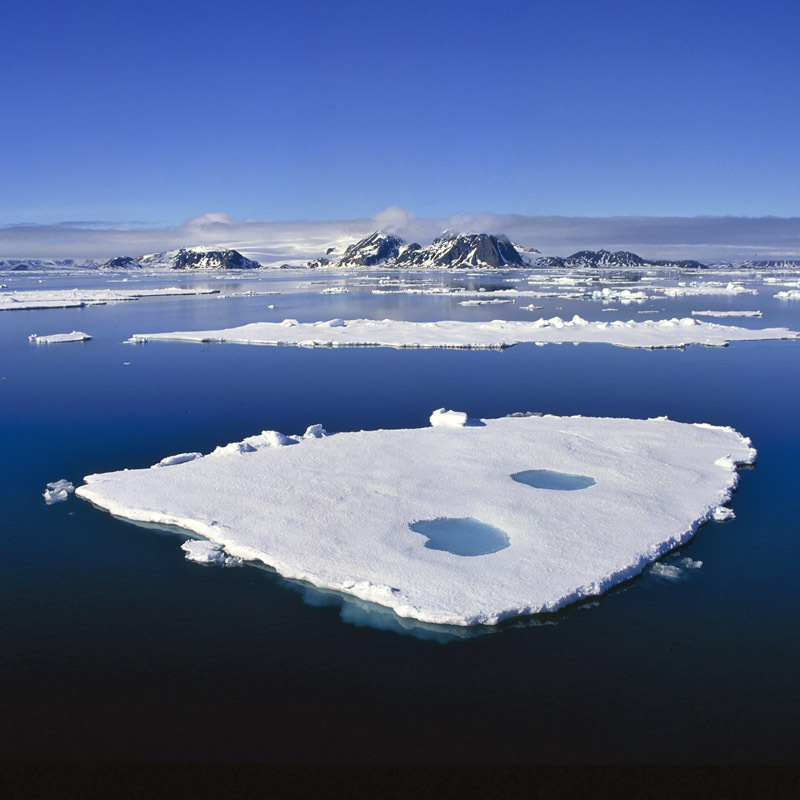 Significant melting of Arctic sea ice is linked to changing global weather patterns. Australasian gannets, Tasman Sea, New Zealand. Caledonian Forest, Glen Affric, a remnant of the ancient temperate rainforest of Scotland. Evening light on Makalu, 8463m, the world’s fifth highest mountain, in the Makalu Barun National Park, Nepal.